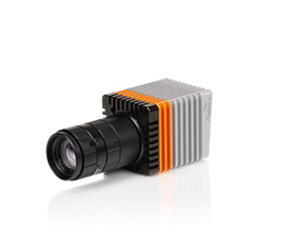 Bobcat-320: Affordable SWIR camera targets cost-sensitive markets. The basic 100 Hz version of the Bobcat-320 is designed for customers who are looking for a SWIR camera that delivers excellent image quality at a very reasonable price. Due to its excellent price/performance ratio, the camera brings SWIR imaging within reach of cost-sensitive volume markets such as laser beam analysis or semiconductor inspection applications. The advanced 400 Hz version of the Bobcat-320 is designed for customers who need a faster SWIR camera and/or have a need for extensive features like the non-uniformity correction “TrueNUC™”. This makes the 400Hz version of the Bobcat-320 a desirable imaging partner in applications where speed matters, like hyperspectral imaging in the sorting & recycling industry. The Bobcat-320-Gated is a special edition of the 400 Hz version, designed for customers who are active in the gated imaging industry. It special features are its extreme short exposure time of 100 nsec and its programmable trigger-out delay between the trigger-out pulse and the start of the integration. This makes an easy synchronization with a pulsed laser possible for use in laser gated imaging applications. Download the available product brochures for more information.